Okay, so here is my first installment in the challenge. Today is 'Red' day! 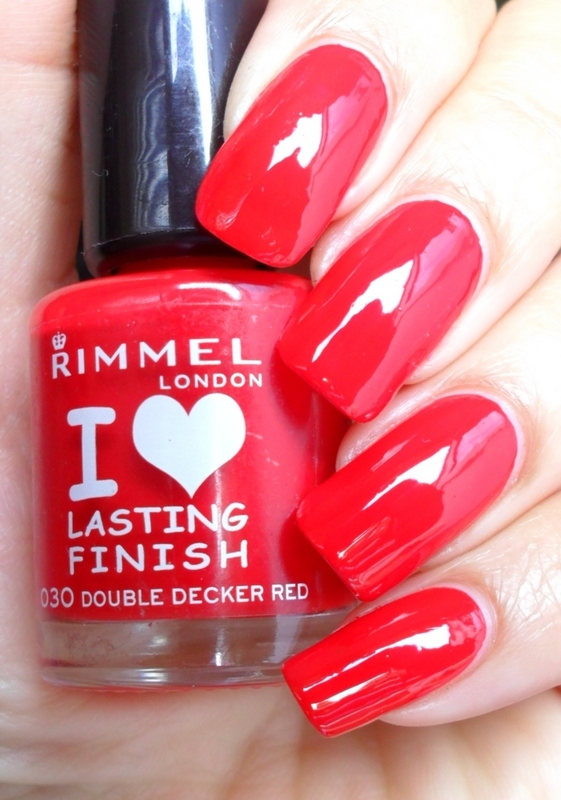 Rimmel's Double Decker Red. I love Rimmel and I like this red too...but it was a monster to capture on camera! I looks like it has an orange hue, but no, it's the colour of a good old double decker and a post box. The formula is a dream and I honestly can't fault any of the Rimmel colours. See what I mean about the colour? It's not true to life at all. How are you doing with your challenges?? I started today too :) Doing my orange nails now! 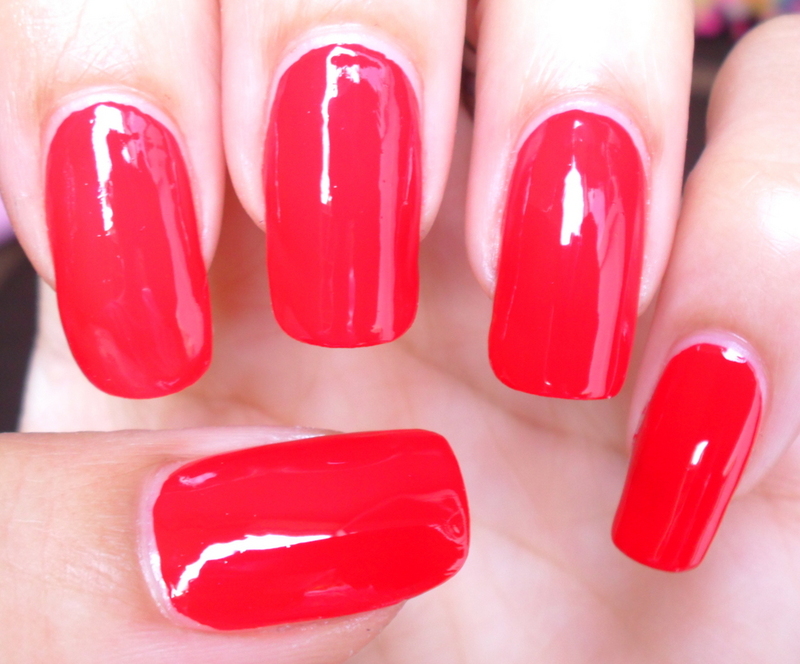 Love this red, but I think I have some quite similar so couldn't justify it :( Must stop spending! I actually really do like this red nail polishes on ur nails! Looks totally luxury to me! Those reds look gorgeous on you. I don't really like red polishes, but if I wear them I like them to be bright and vibrant like these two. Thanks Courtney. I'm the same with red lipstick. I like how it looks...just not on me. I just look like I've been playing in my mum's make-up!